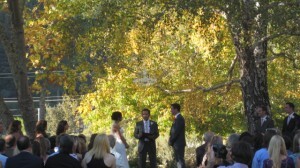 Bridgewater Farm provided an amazing setting for our Oct. 19th wedding for Shane and Shayna. Can't hurt to have a beautiful bride and handsome groom either..... cozy sitting areas, amazing farm tables and flowers in a range of pinks to peaches. 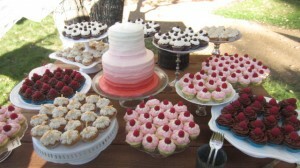 Dessert buffet and bistro lights for evening...what a lovely wedding!